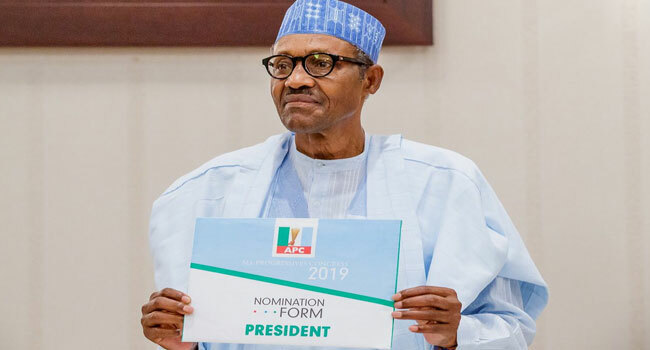 President Muhammadu Buhari has received the All Progressives Congress (APC) expression of interest and nomination forms. 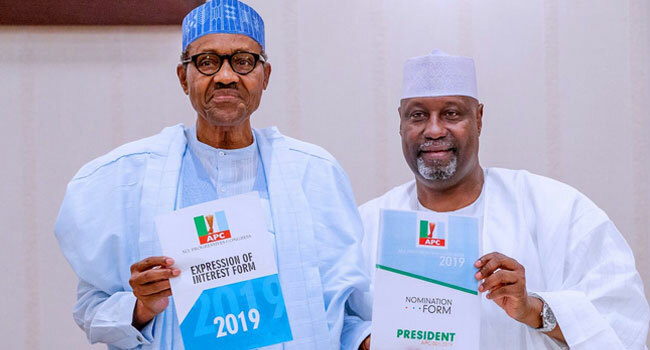 The forms were presented to him on Tuesday by members of a group called National Consolidation Ambassadors Network (NCAN) at the presidential villa. 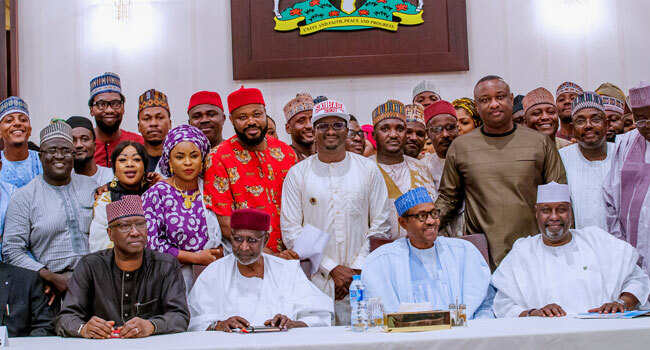 President Buhari while receiving the form spoke concerning the achievements of his administration. He also took a swipe at those whom he said put personal interest above national interest and because of this have exited the party leaving patriotic party members to continue the struggle. 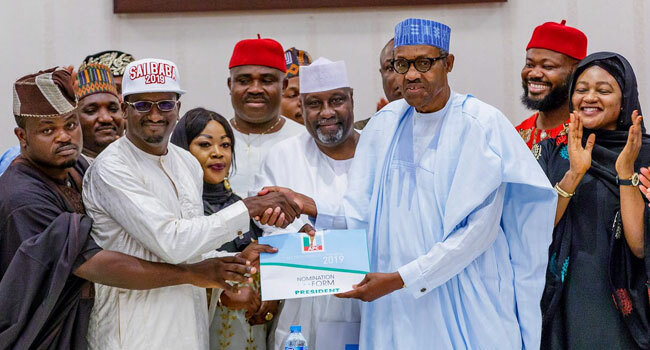 Human Rights lawyer and spokesperson of President Buhari’s Campaign Team, Festus Keyamo; Secretary to the Government of the Federation, Boss Mustapha and Minister Of Transport, Rotimi Amaechi were also at the presentation.